A physician and translator; lived in Cyprus and Damascus in the fifteenth and sixteenth centuries. He translated Aristotle's "Theology," a pseudepigraphic work, from the Arabic into Italian. This translation, made at the request of Franciscus Roseus of Ravenna, became the basis for Nicholas Castellani's Latin book, "Sapientissimi Philosophi Aristotelis Stagiritæ Theologia," which Roseus presented to Pope Leo X. and published in Rome, 1519. 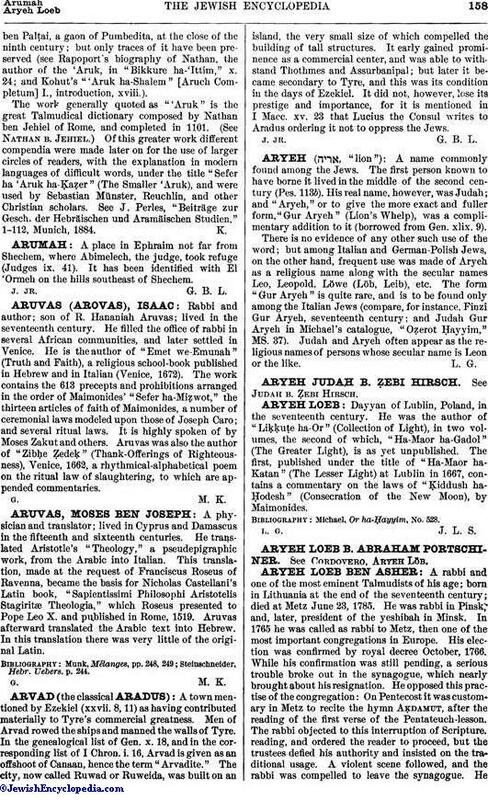 Aruvas afterward translated the Arabic text into Hebrew. In this translation there was very little of the original Latin. Steinschneider, Hebr. Uebers. p. 244.